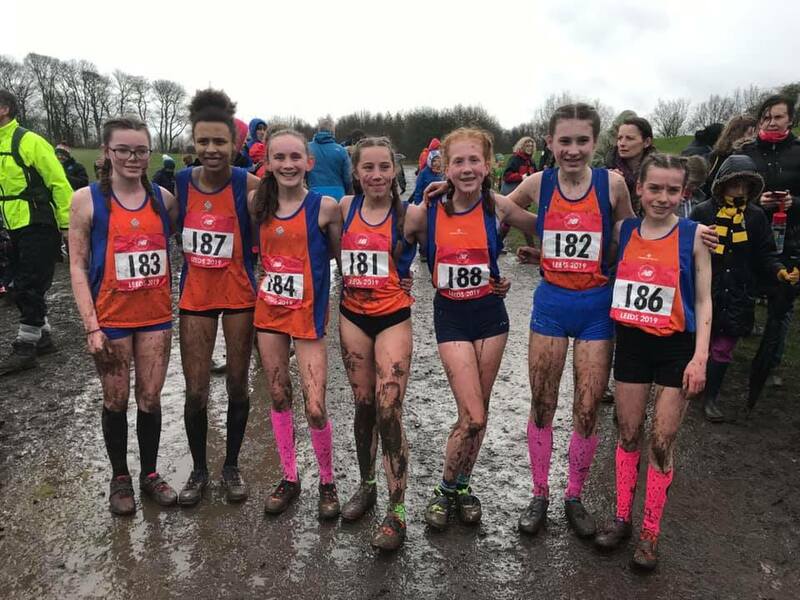 AT the final fling of a gruelling cross-country winter season, Horwich duo Eva Baldwin and Georgia Heath gained further honours in representing Greater Manchester at the English Schools’ championships at Temple Newsam, near Leeds. Coach Andy Townsend described it as “a mixed bag of racing” as Heath struggled after taking a tumble in muddy conditions but still kept going to help GM to 24th place. In the junior girls’ race, Baldwin was second counter for GM and 85th in the individual race. 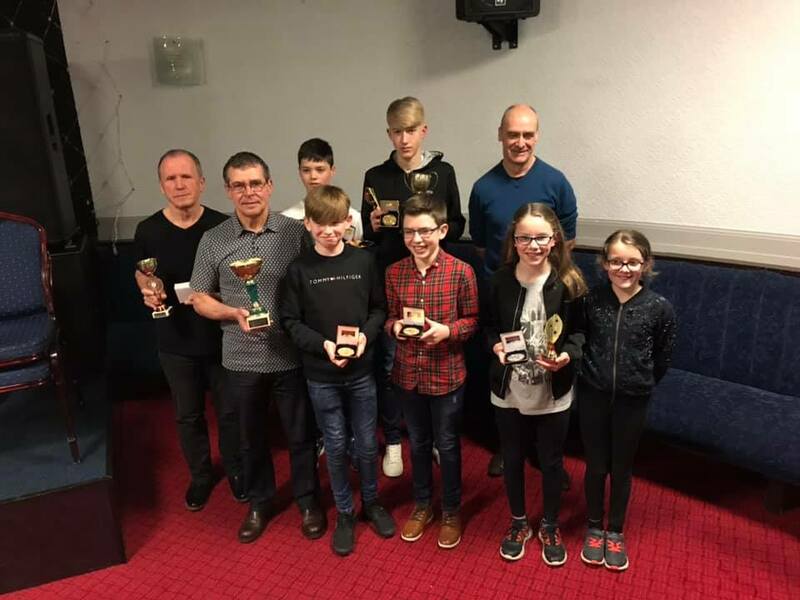 The South East Lancs Cross-Country League held its popular presentation evening at North Chadderton social club and there were more honours for the Harriers young athletes as the under-13 boys’ and girls’ teams both came second in the team competition and the u15 boys won their competition with Lucas Milliken taking the individual title. Ethan Isaacs, Charlotte Wilkinson, Matthew Mair and Isaac Battye all had top-three medal series results. The M60 vets shone, too, winning the team prize with Gareth Webb’s return to racing greatly helping the effort. Steve Williams added another Horwich name to the M60 individual trophy, after Paul Murray, Steve Jackson and Tony Hesketh all won it in the last 20 years. 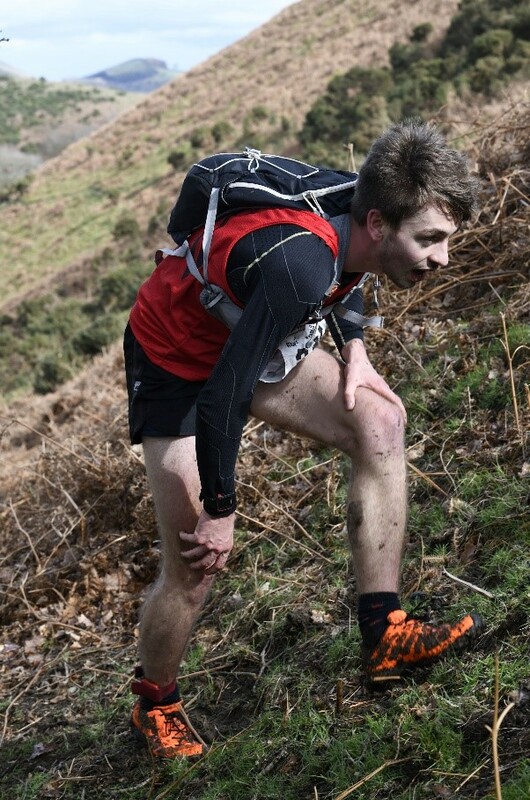 The fell season is now gathering pace and on Sunday it was the first fixture in this years’ English fell championships at Stretton Hills where the Shropshire gales added an extra spice to a short but testing course. 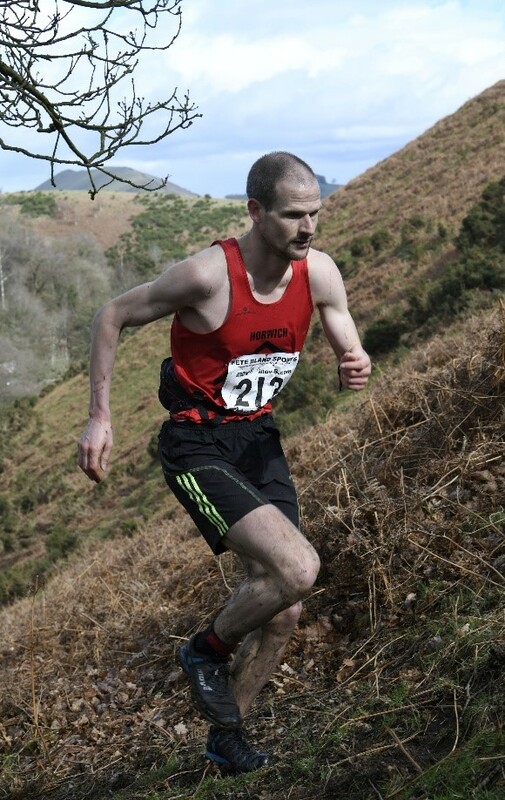 Defending English champion (and third-place finisher at the Rivington Pike race in 2017), Keswick’s Carl Bell, won the race and last year’s runner-up, Simon Bailey, of Mercia, was fourth. Nick Leigh was Horwich’s top runner on the day, finishing 21st and less than three minutes off the winning pace. Leigh was third M40 on the day, which is a great start after finishing 34th in the M40 series last year. There was also a fine debut in the red and black vest for Alistair Thornton who picked his own route, unlike most of the runners, and it nearly paid off with a top-20 finish but for a small error on the last stretch. The next championship race is the Howgills next month. Sunday also saw the start of the Run The Moors competition of 12 more local fell races, competed for by several North West clubs including Horwich, who sent only one representative to the opener at Wolf’s Pit in the beautiful Hope Valley – David Barnes. He did quite well in finishing fourth of the qualifying runners in the M60 category. Strong winds and some sleet could not mar the enjoyment for a big field of 398 runners, more even than at the English championship race the same day. 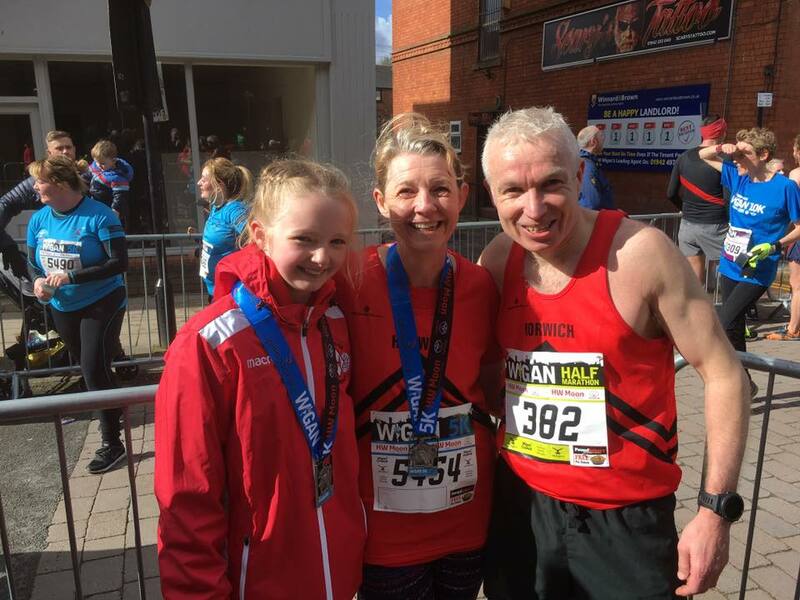 Also on Sunday, it was the Wigan festival where Marcus Taylor and Jane Counsell both had third-placed V45 category results in the half marathon. This was the second fixture of the year in the Central Lancs Grand Prix of road and trail races and Taylor has taken an early series lead in the M45 category. The next race in the CLGP is the Curley’s 5k in Horwich next month. In the Wigan 5k, Emma Bradley had a great run for 41st overall, winning the u14 girls’ prize. It was a quiet week on the parkrun scene as the weather took its toll on the events and the turnout. Toby Middleton took on the hilly Cuerden Valley course and was third in a time of 19mins 22secs. Horwich RMI Harriers results: New Balance English Schools’ cross country championships (Leeds) – junior race –85th Eva Baldwin 11:34; intermediate race – 237th Georgia Heath 15:54; Stretton Hills fell race (Church Stretton) – 21st Nick Leigh 47:50, 34th Alistair Thornton 48:57, 42nd James Kevan 49:43, 116th Alastair Murray 55:21, 150th Andy Lloyd 57:57, 155th Mark Walsh 58:09, 332nd Peter Ramsdale 1:21:55; Wigan half marathon – 36th Marcus Taylor 1:26:23, 153rd Jane Counsell 1:39:55, 392nd Lawrence Pinnell 1:53:38, 617th Julie Williamson 2:05:37; Wigan 5k road race – 41st Emma Bradley 22:11, 326th Janette Bradley 30:37; Wolf’s Pit fell race (Bamford) – 201st David Barnes 1:01:08.